you're always at risk of getting shot. there is no getting around that. 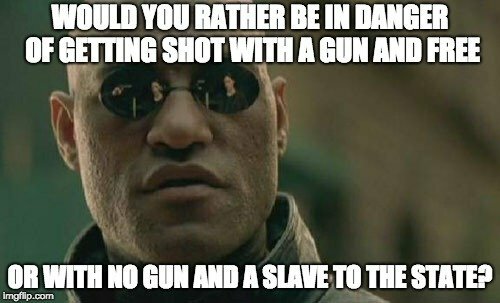 the question is if you want to be free and able to protect yourself... or a slave with false hope and no means to protect yourself?